Contractors spend a lot of time on the road and working on various projects. Typically they have to keep hand written notes in notebooks and on clipboards and then either they transcribe all that information themselves into Excel or Word, or take it back to the office for someone else to do. For some smaller independent contractors that typically means their significant other is spent doing data entry instead of savoring what little time they have outside of “work”. A Winnipeg startup called JoistApp is looking to solve that problem. JoistApp is a mobile app that contractors can use on their iPad, iPhone or Android device which allows them to manage their business on the go. 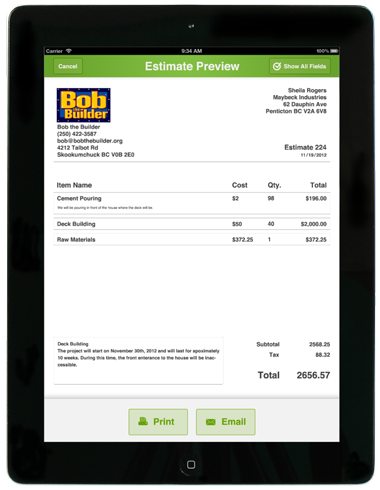 Contractors can create invoices, create estimates, send invoices, manage projects and accept payments on the go. 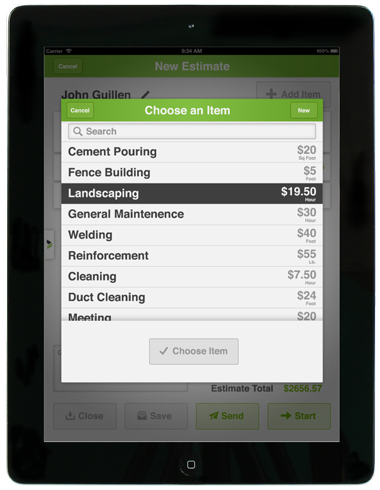 Sure there are plenty of business management apps out there but JoistApp was created specifically for contractors. We got a chance to talk with Brendon Sedo, co-founder of JoistApp, check out the interview below. Joist is new tool for contractors and service companies that allows you to manage your business from an iPad, iPhone, or Android Device. Create estimates, send invoices, manage projects, and accept payments in the field and on the go. Review your business’s performance and smile. Brendon Sedo & Justin Kathan – Brendon and Justin have 3 years of experience working on mobile applications for enterprise. They have also scaled a mobile service company from 3 locations and 3 employees to 95 locations and 120 employees in 4 years. Mike Gauthier – Mike brings his technical knowledge and experience to the Joist team. He’s spent the last 8 years working with start-ups. The startup scene was almost non-existant, but is slowly starting to grow after the forming of a few local hackerspaces and meetup groups. The future looks bright! How did you come up with the idea for Joistapp? Brendon and Justin helped develop an internal iPad application for a mobile service company that they operated. Many of their clients were interested in an iPad solution for their own businesses, the majority of them being contractors. After speaking with these businesses and hearing about their pains with estimates and invoices, they founded Joist. Joist is a brand new application that is flexible enough for any contractor or service company to pick up and use with their business. We were looking for a simple 1 syllable word. After spending time looking at common builder terms and other words used in the building industry, we stumbled on Joist. It was quick to say, memorable, and had no negative connotations. We felt we could create our own meaning behind the name. What problem does Joist solve? Contractors spend an average of 10-20 hours per week managing their business (estimates, invoices, receipts, etc.) This is non-billable time. Because the majority of their time is spent in the field, their current procedure involves taking notes with paper and pen on the job-site. These notes are then entered into tools like Excel and Word later in the evening or on weekends. It is time consuming and slow, because they do not have tools to complete work while on the go. Joist significantly reduces the amount of non-billable time spent on management items allowing contractors to complete work on the go as things actually happen. Meaning they can can calculate and deliver estimates and invoices to clients on the spot, through email or printing on-site. The time saved can be re-focused into growing their business, or regaining social time. Our secret sauce is that Joist is built specifically for contractors. 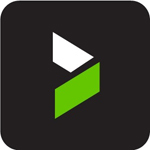 The app encompasses unique functionality for their type of operation. A dilemma we initially encountered was how to identify and break up the roles of Justin and Brendon who brought similar skill sets to the team. What’s the first thing you would do with a one million dollar investment? We would use a one million dollar investment to acquire users. Over 200 of the 1700 attendees who’ve bought tickets to everywhereelse.co the startup conference are from Canda, more here!